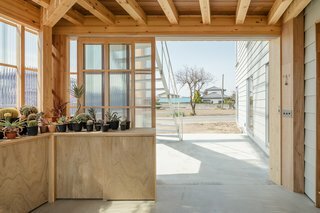 To accommodate the owner’s hobby of growing succulents, the SNARK team, which has offices in both Gunma and Tokyo, designed a sun-drenched, two-story home that marries the aesthetics of a greenhouse with the program of a family residence. 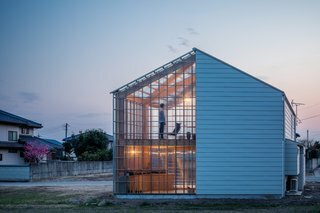 The width of the greenhouse volume is equal to the width of the enclosed volume. 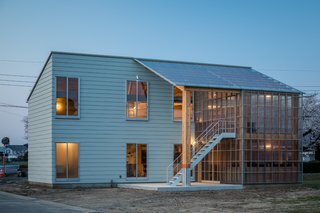 "The greenhouse portion and the residential portion are structurally independent while complementing each other's functions," says Snark architectural director Yu Yamada, "enabling expansion, reduction, and renewal of the greenhouse section in the future." 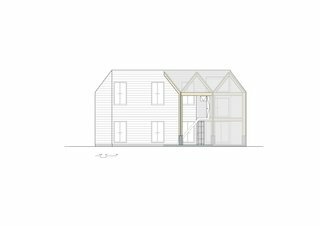 This creates the appearance of a singular gabled house with opaque walls on one side and transparent walls on the other. 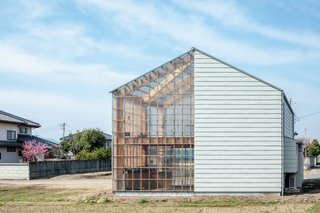 The greenhouse structure is clad entirely in translucent acrylic glass. 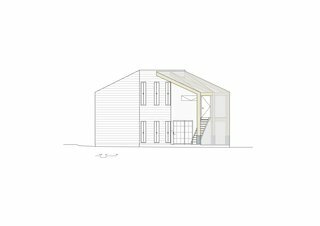 Half of the house is a solid volume with a shed roof. 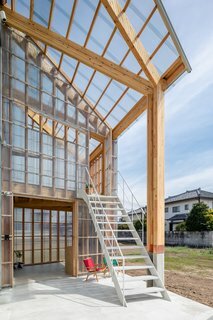 The greenhouse part of the residence is an extended wooden structure clad from top to bottom in acrylic glass. 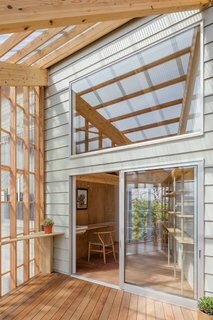 Sunlight floods the interiors through the greenhouse volume. 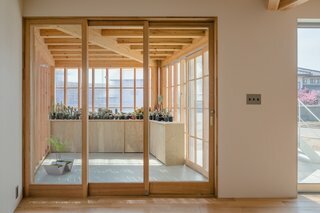 Glazed, sliding partitions are used to separate or connect the rooms and functional zones. 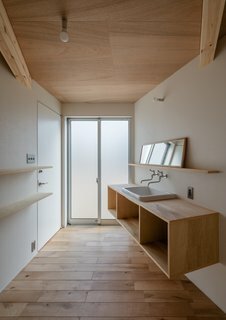 This makes the interiors adaptable enough for a variety of programs. 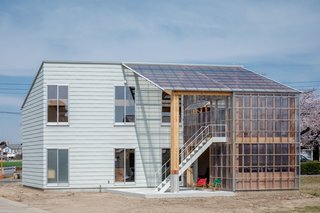 The greenhouse volume has a shed roof that slopes at the same angle as the main volume. 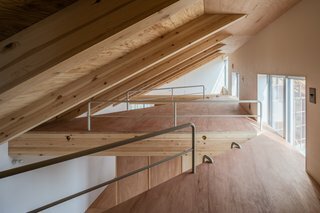 The 3,988-square-foot house has an angled roof that fits loft-like platform spaces. 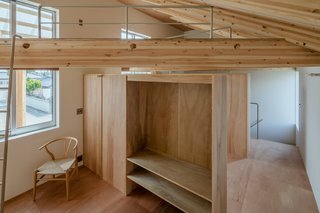 Built-in wooden storage and shelving systems keep the interior clutter-free. 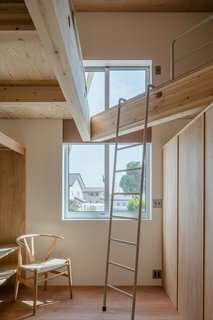 The loft-like spaces tucked high above the ceiling serve as sleeping or storage areas, and are accessible via metal ladders. 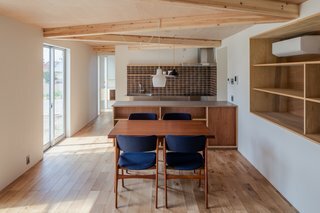 The high ceilings, natural light, and custom-made wooden furniture give the house a simple, fresh, and clean feel. 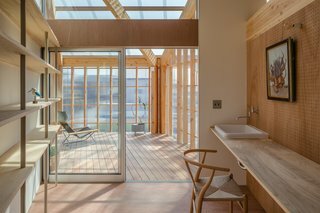 Constructed with wood and Perspex acrylic glass, this semi-transparent volume extends from the side of the main house, blurring the boundaries between indoors and outdoors.